Located in the centre of the Salzkammergut and yet not far from the nearest town. In the heart of Austria and convenient to get to from so many locations. Could there be any better location for your event? 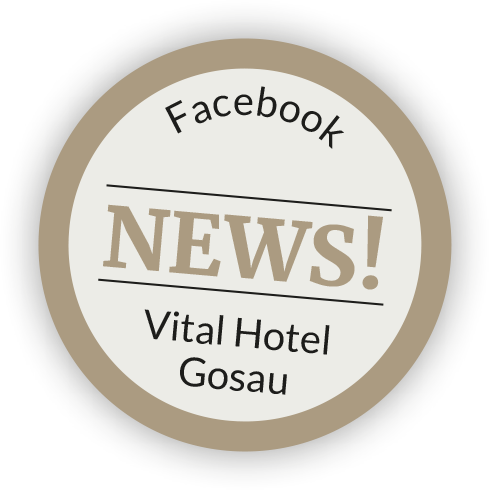 The business floor in the Vitalhotel Gosau has three contemporary seminar rooms and is an ideal location for seminars, conferences and business meetings. For where else can ideas better burgeon than in natural surroundings? Breathe in the fresh air. Seminar breaks are best enjoyed outdoors. From the terrace and the extensive gardens, the impressive views to the Dachstein massif are none too shabby. Coupled with the tranquillity which surrounds you, inspiration happens almost naturally by itself. Whatever you want for your business event – you will feel really well looked after by our trained event team, who will provide you with expert advice. Send your own seminar enquiry today and get bespoke advice. Telephone our seminar hotline +43 6136 88110. 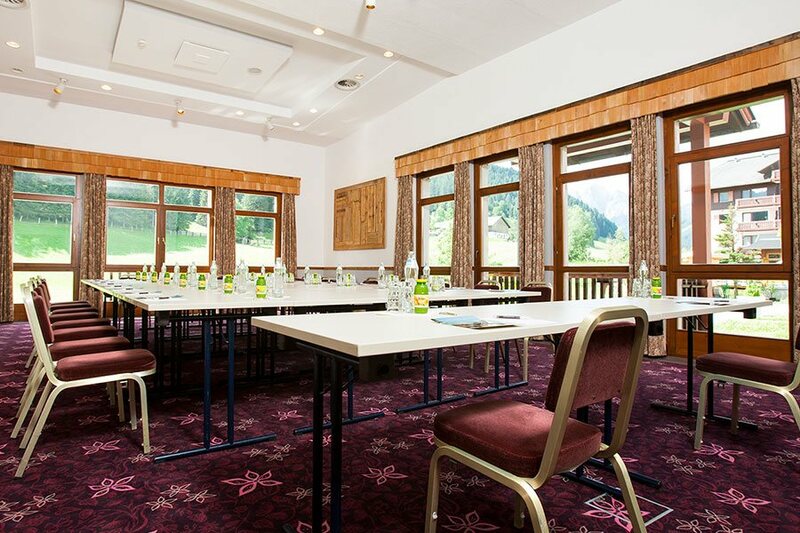 It is not just because of its tranquil and central location in the middle of the Salzkammergut that the Vitalhotel Gosau is a popular place for business events. 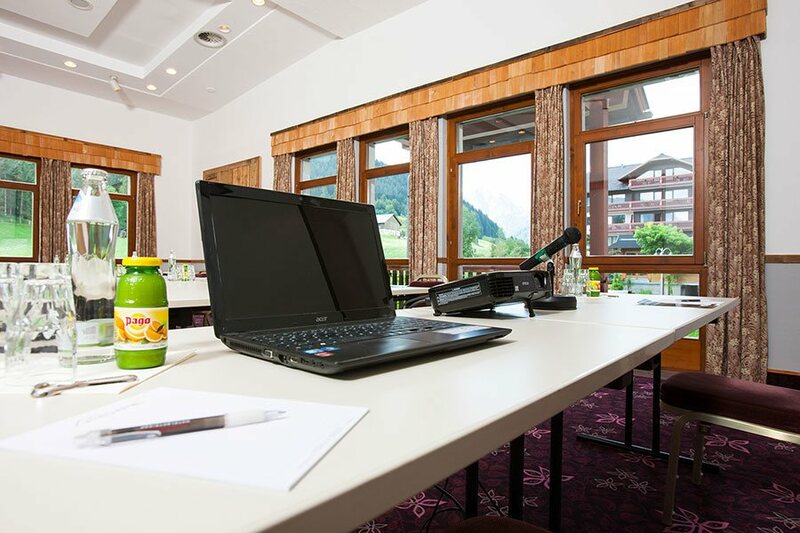 As a seminar hotel – depending on the room and the seating option you choose – we can cater for events of 10 to 280 people. Neighbouring Dachsteinhalle provides an additional space for up to 1000 people. There is plenty of free car parking available for all seminar participants as part of our all-inclusive seminar package. 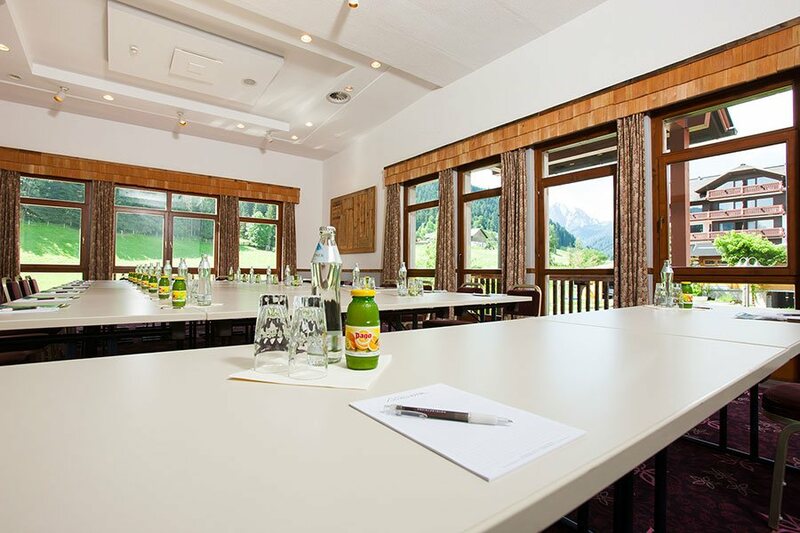 The seminar hotel in the idyllic town of Gosau can be accessed from the city of Salzburg in about 50 minutes by car. In Salzburg there are also major transport hubs, such as Wolfgang Amadeus Mozart airport and Salzburg's main train station, which is the border train station between Austria and Germany. From Linz it is about 150 kilometres to get to your event. Munich airport is about 220 kilometres from Vitalhotel. Wherever you are travelling from, the transport connections to Gosau are excellent. 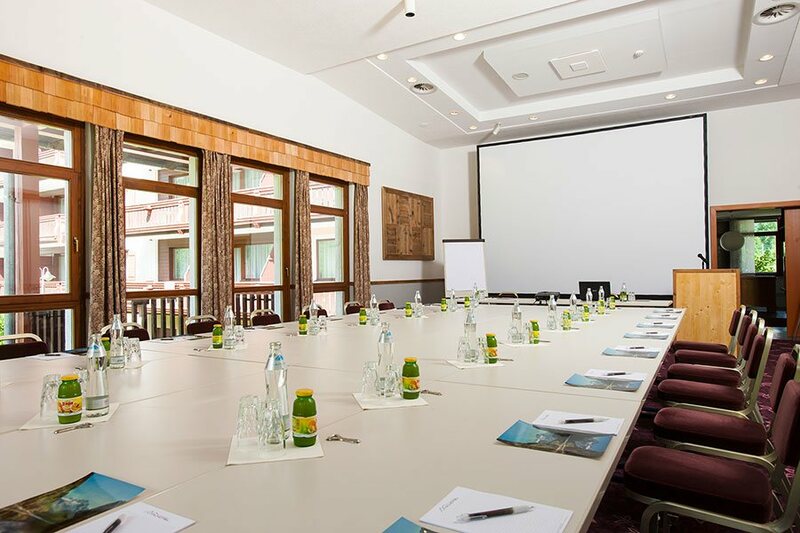 The hotel's own seminar centre, the business area, has a separate entrance area, which ensures that your event takes place without interruptions. Things always run smoothly in the three seminar rooms. The bright, welcoming rooms are all equipped with the facilities you require to have a successful meeting. The view to the lush surroundings is free to boot. our events team can be relied upon to take care of the rest. Let us take care of the organisation and running of your seminar. Why not give your business event a boost with some activities together outdoors? The natural surroundings in the Salzkammergut provide any amount of space for sports and activities. In next to no time you can get from Gosau to plenty of excursion destinations. Whether it is alpine inns, hiking trails or ski pistes in the Dachstein region – there is no limit to the options available. A tip from us: Visit the picturesque village of Hallstatt and the spectacular viewing platform "Welterbeblick". It's worth enjoy a refreshment stop in the Restaurant Rudolfsturm to enjoy some Austrian specialities made using produce from the region. All that while enjoying the fantastic views to the UNESCO world heritage region around Hallstätter See. Still have questions about your seminar in the Salzkammergut? Get in touch with us today – we always have time to listen!